Most polybutylene pipe – also referred to as “water service pipe” or “yard service pipe” or “poly pipe” is underground. It is the pipe that carries water from the street into the house that is installed in and around homes in the greater Baltimore area. There is also some polybutylene pipe installed inside the home plumbing system, but it is not common in the Baltimore area. Polybutylene pipe is a blue (or gray) plastic pipe manufactured by the Shell Oil Corporation. It was installed in homes between approximately 1978 and 1995 – mostly in new construction – but it was also used to replace water services in older homes as well. It was found that chlorine added to sanitize our drinking water reacts with the polybutylene making it brittle. All polybutylene pipe will fail for this reason. It is just a question of when it will happen… not if it will. I typically see a surge in polybutylene pipe replacement when the seasons change. The ground changes temperature and so does our potable water. The change in temperature causes the “Big Blue” to expand or contract aggravating its weakness. Why should I have my polybutylene pipe replaced? It protects your biggest investment… your home. If a break occurs in the foundation wall, or near it, you could have water damage which could include personal property damage i.e. carpets, furniture, walls, even AC and heating equipment. Also the new asbestos of our time is mold. Water not properly cleaned up can lead to mold growing in your walls and under your carpets. The spores get into your duct work system and are distributed around the house causing health risks. 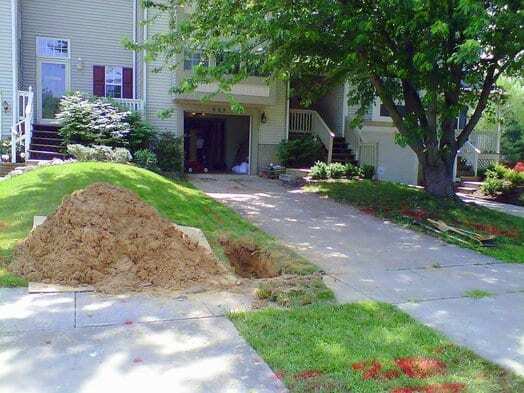 A break outside the home can cause earth to be washed away from under sidewalks and driveways causing them to crack or even give way. Most homes sold undergo a home inspection. Most buyers will negotiate the replacement of the pipe before purchasing the property as they are aware of the potential hazards of leaving the pipe in service. You could end up with a huge water bill. I have had customers who have received water bills in excess of $600.00 because of this pipe leaking underground and undetected. Polybutylene pipe replacement that is done before a break often turns out much better aesthetically and usually costs less, too. You can plan when to do it rather than in an emergency type of repair. Five Star Plumbing Services offers discounts to customers who pre-schedule their polybutylene pipe replacement. Do I have Polybutylene Pipe? If you see any blue plastic pipe where your water service enters the home. If you see a gray plastic fitting when your water service pipe enters the home. Some poly is totally hidden underground. We would have to come out and check for you. The front wall of my basement is damp or wet. Why should I choose Five Star Plumbing Services to replace my poly pipe? Over 95% of all our polybutylene pipe replacements are trenchless. All polybutylene pipe replacement comes with a 10 year warranty for material and labor. There are few that do a better job than Five Star Plumbing Services! 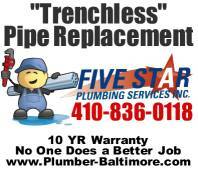 Call (410) 836-0118 now to arrange to have your polybutylene pipe replaced today! The above polybutylene replacement was completed in one day… start to finish. The installation of 1″ copper pipe was almost 60 feet long… all trenchless. 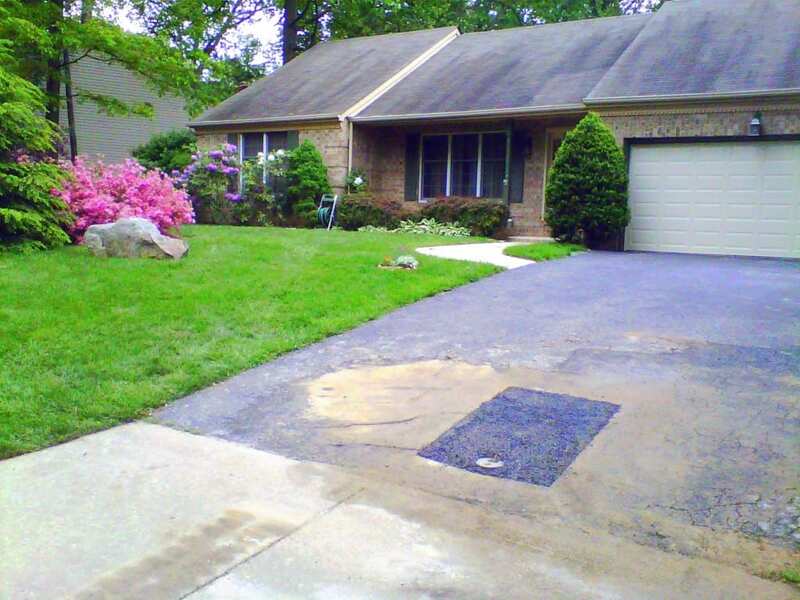 The home owners driveway was saw cut to minimize damage to driveway and was replaced with new asphalt. 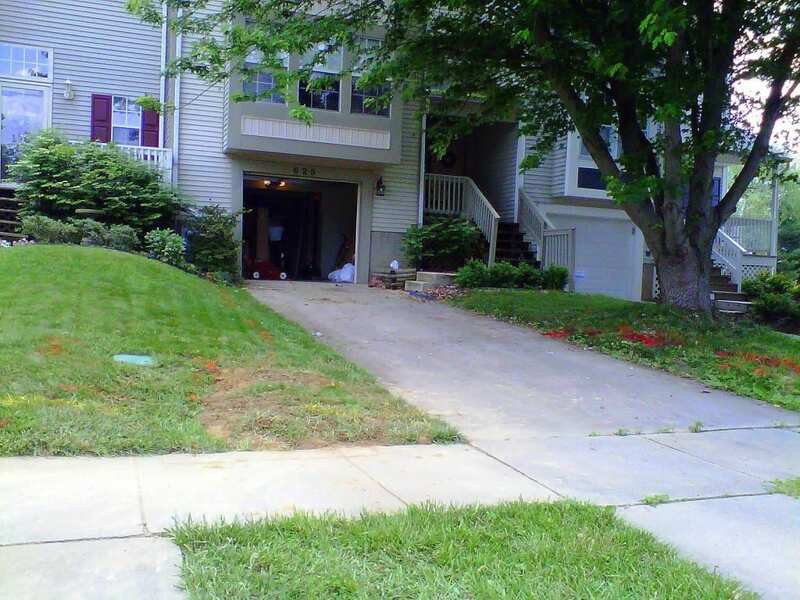 Here is another example of a trenchless polybutylene pipe replacement underway at Gairloch Place in Bel Air, MD. And here is the finished job! This polybutylene pipe replacement was almost 60′ long and ran diagonally under concrete driveway.